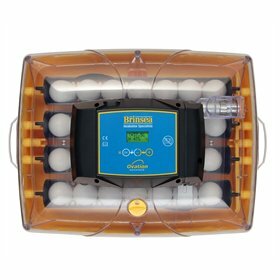 This new incubator model, Brinsea's Ovation 28 Advance Digital, holds 28 hens’ eggs. The Ovations replace the older Octagon series. This model has many automated functions, but is not fully automatic. The Ovation 28 Advance has a programmable automatic egg turner, digital temperature controls in Celsius or Fahrenheit, and periodic cooling (to better mimic natural incubation). Humidity has a digital display, but must be managed manually. 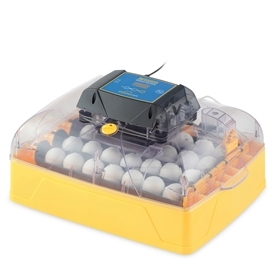 Register your incubator with the manufacturer and be eligible for a 3-year warranty! If you're looking for a lower-priced incubator with fewer automated features, please check out the Ovation 28 Eco. For automated humidity control, you'll want the Ovation 28 Ex. You might also enjoy the Ovation 28 Advance Classroom Pack. 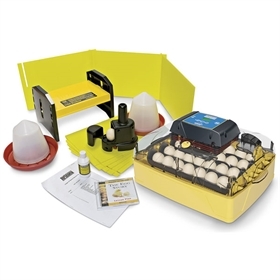 Do not purchase your hatching eggs until you have received and set up your incubator. This item is shipped via UPS or USPS Priority Mail. A signature will be required and is unable to be waived. 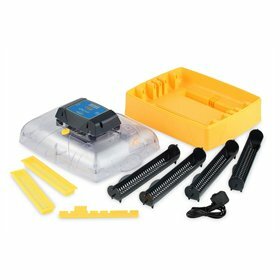 There is a 20% restocking fee for returns on this item.